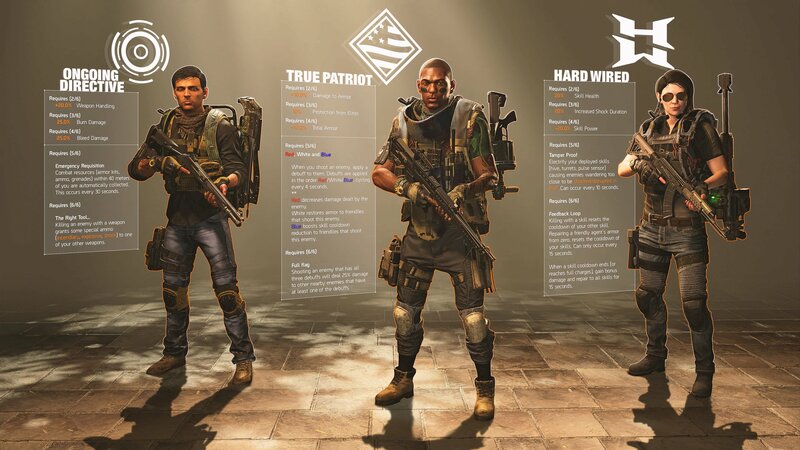 Learn more about each of Gear Sets in The Division 2, including the Hard Wire, Ongoing Directive, and True Patriot sets, as well as all of their perks and bonuses. Gear plays a big part of the endgame content in The Division 2, and chief among that gear will be the game's various Gear Sets. Offering special abilities, buffs, and debuffs, the Gear Sets in The Division 2 are sure to be among the most sought-after items in the game. Tracking them down may take effort, but if all six pieces of each set can be acquired, agents will be able to use some of the most powerful abilities in the game. For now, only three Gear Sets have been teased for The Division 2, all part of the Tidal Basin update. The Hard Wired, Ongoing Directive, and True Patriot Gear Sets have appeared in-game on April 5 alongside the new Tidal Basin Stronghold and World Tier 5. The Hard Coded Gear Set is meant specifically for players who want to make the best use out of their skills and abilities. Not only does it allow for extra damage to be doled out to crowds, the Feedback Loop perk also removes cooldown timers and bolsters the effectiveness of other skills. Two Pieces Receive 20 percent skill health. Three Pieces Increase shock resistance by 20 percent. Four Pieces Increase skill power by 20 percent. Five Pieces Unlocks the Tamper Proof perk: Enemies get shocked by placed skills. Six Pieces Unlocks Feedback Loop perk: Skill-based kills reset skill cooldown timers. When skill cooldowns complete, receive bonus skill and repair effectiveness for 15 seconds. The Ongoing Directive set will be for those agents on the crew who like to custom-tailor the damage they deal to enemies. Emergency Requisition and The Right Tool combine to make sure the agent is never down and out of the fight. Two Pieces Increases weapon handling by 20 percent. Three Pieces Deal an additional 25 percent burn damage. Four Pieces Deal an additional 25 percent bleed damage. Five Pieces Unlocks Emergency Requisition perk: Agent automatically picks up nearby items within a 40-meter radius every 30 seconds. Six Pieces Unlocks The Right Tool perk: Weapons collect elemental ammo for each killed enemy. The True Patriot Gear Set in The Division 2 will be a proper choice for players looking to increase the overall power of their teammates. It also appears to be a great anti-tank option, as the Full Flag skill will help make mincemeat out of tank events by destroying the opponent's support. Two Pieces Deal 10 percent additional damage to enemy armor. Three Pieces Adds additional 10 percent protection against damage done by elites. Four pieces Receive 10 percent total armor to your agent. Five pieces Unlocks Red, White, and Blue debuffs: Every enemy damaged over a certain threshold amount gains a debuff. The Red debuff decreases the damage dealt by the enemy, the White debuff restores armor of the ally shooting the debuffed enemy, and the Blue debuff lowers the agent's skill cooldown timers. Six pieces Unlocks Full Flag perk: Shooting an enemy with all three Red, White, and Blue debuffs does 25 percent of incoming damage to nearby enemies. 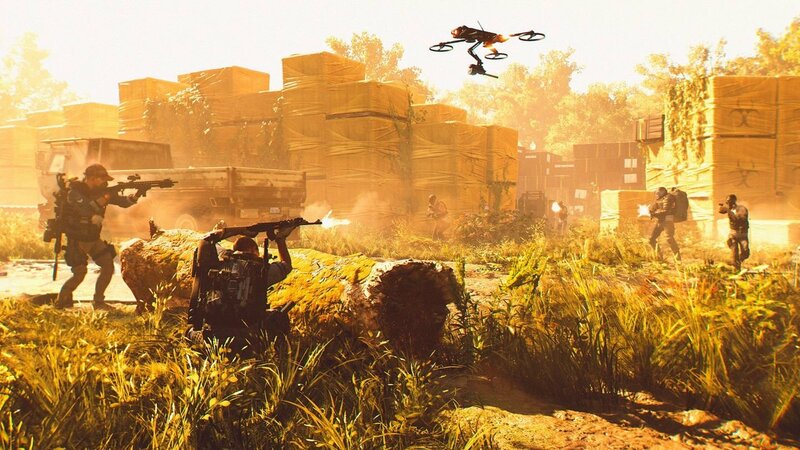 Each of the Gear Sets featured in Tom Clancy's The Division 2 offer a little something different for agents of any play type. Tracking them all down will certainly be a tall task for any player, but the rewards gained in exchange will be well worth the effort. Be sure to stay on top of other game guides like these by heading over to Shacknews' The Division 2 home page.